Japanese family crest quilt top finished! I finished assembling my quilt top with all the bamboo-themed Japanese famiily crests. This is my first try at a taupe/brown color scheme for a quilt, and I am pleased with the result. Now on to the quilting! 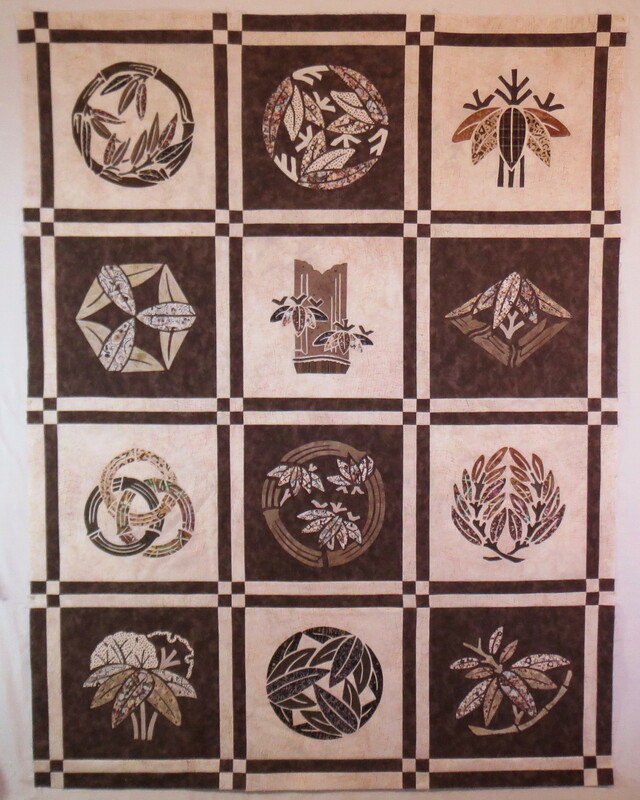 This entry was posted in Quilting on January 6, 2014 by Shirley at Mystery Bay Quilt Design. Shirley, it is just exquisite!